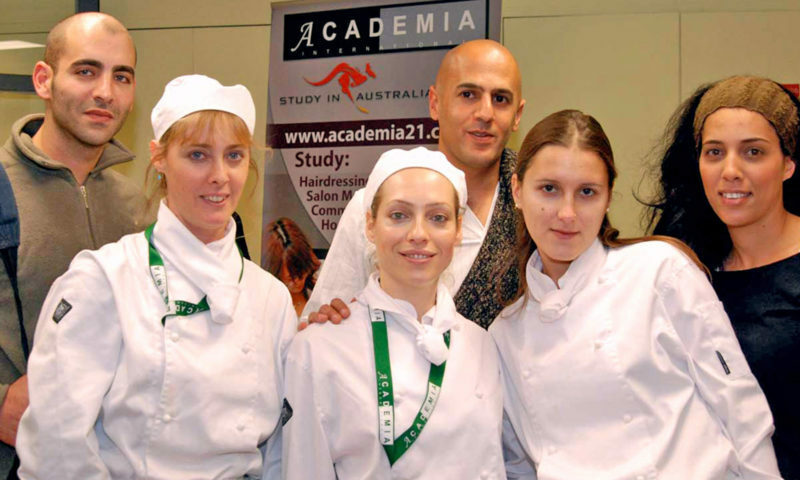 Why study hospitality management courses in Melbourne or Brisbane? Are you searching for a rewarding career in a growing industry? The hospitality industry is in high demand for passionate and outgoing people to help lead teams towards a common goal: happy customers, guests, visitors, and tourists! Studying hospitality management opens you up to a world of managerial opportunities that allow you to spread your wings and fulfil new career goals! We look at some of the top reasons to consider studying and pursuing a career in hospitality management. The Australian hospitality industry is booming – and YOU can be a part of it! No doubt you’ve noticed – or even been a part of – the growing “foodie” culture we’re experiencing here in Australia, particularly in the major capital cities. Thanks to Australia’s growing obsession with “foodie” culture, the hospitality industry has enjoyed steady growth over the past five years. According to the Australian Industry and Skills Committee (AISC), employment is set to grow by 12.1% over the next five years. What does that mean for you? Well, it means YOU could fill the position of one of 91,000 expected new jobs! Why else is the industry booming? The survey also revealed that most businesses surveyed expect revenue to grow “a little” or “a lot”, and that half of those surveys were expected to grow their team in the next year! Combine your passion for leadership and dining/tourism! Your role, in its simplest terms, is to enhance the experience guests and tourists have when they visit your establishment! Whether that’s a hotel, restaurant, resort, or casino, your passion for happy clients and ability to manage has led you to an exciting and rewarding career in hospitality management! Your responsibility lies in leading your staff, managing finances and budgets, and responding to emergencies that arise within your business. Before you start that career, though, you need a combination of theoretical knowledge and hands-on experience. That’s where Academia comes in! There’s no age barrier: age is just a number! The hospitality industry is a modern industry supporting passionate people of all ages and from all backgrounds. It doesn’t matter if you’re studying straight out of high school or are seeking a career change three decades on – the industry is flexible and accepting; you’re never too old to learn a new skill or develop a new passion! Through studying hospitality management, you will learn critical skills tailored to the industry, however they will also be skills that you can apply to almost any kind of industry. 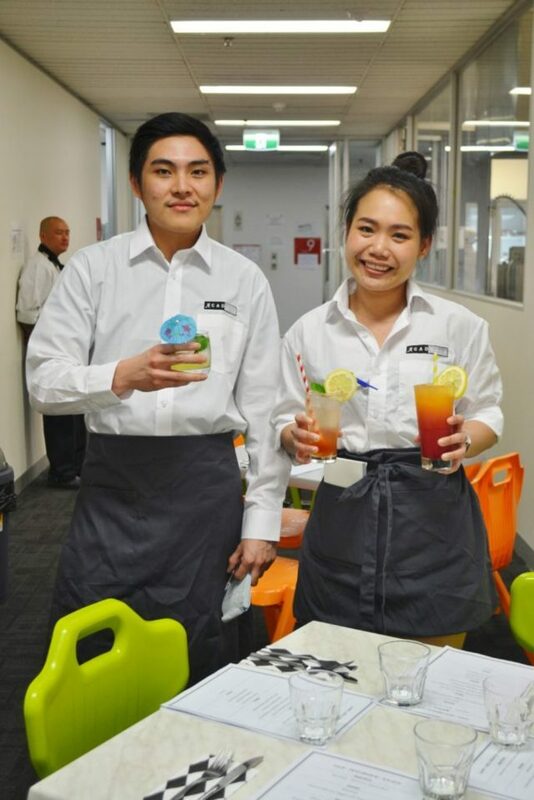 Enjoy a dynamic study environment filled with supportive teachers, enthusiastic classmates,and an impressive industry network where you’ll complete placement in some of Brisbane and Melbourne’s top hospitality establishments. We believe that while tuition is critical, it’s the combination of academic learning and industry-based work experience that truly enables students to truly experience the best learning outcomes. During placement, you’ll experience first-hand what your future career might look like! This course is delivered utilising both campus-based learning together with industry internship. Academia has strong industry partnerships – so we can help you land an internship in one of Melbourne or Brisbane’s top restaurants or hotels! You’re also free to find your own placement. The Advanced Diploma also incorporates other important managerial skills including finance. Combined with hospitality skills, you will lead, coordinate, and oversee important hospitality operations. It is recommended that students complete the Diploma (above) before enrolling in the Advanced Diploma. Got a knack for creating magic in the kitchen? Hone those skills with a Advanced Diploma in Hospitality Management majoring in either Commercial Cookery or Patisserie. 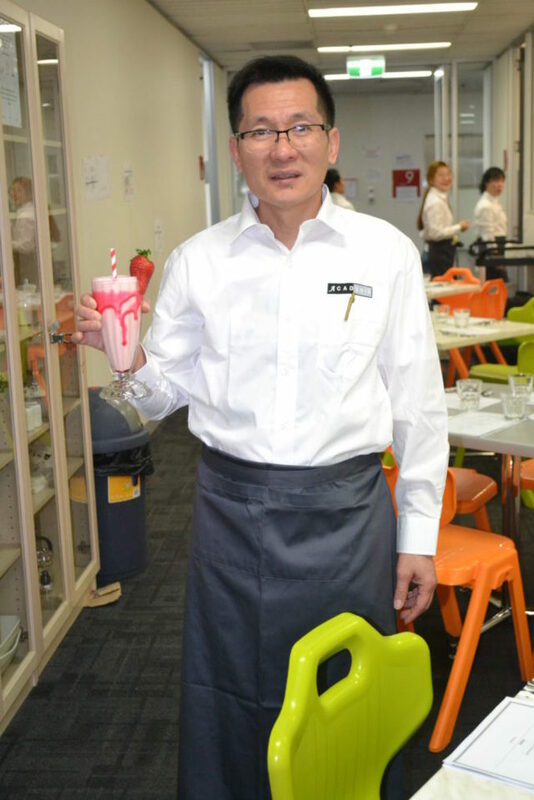 Academia is proud to have strong hospitality industry partners in both Melbourne and Brisbane, where students can complete their work placement. Academia will gladly help students find placement through our partners, some of which are highlighted below! The Langham offers its guests 388 elegant rooms as well as premium dining options including the Melba Restaurant, Aria Bar & Lounge, and its famous high teas. Located in the “Paris End” of Melbourne’s CBD, the Sheraton offers 174 stylish rooms including 11 terrace suites, as well as a restaurant and bar. 5-star French luxury situated in the centre of Brisbane, the Sofitel offers 433 luxury rooms and suites, three dining outlets, a cocktail lounge, bar, and gaming bistro! A high-tech and intuitive hotel located in the heart of Brisbane CBD, Capri is a highly valued industry partner. Capri also has an in-house restaurant, Black Fire, and is just 2km from our Brisbane campus! View all our industry partners here. Got a question or want to learn more about our hospitality management courses? The following 10 points are a guide to assist you in motivating and ensuring the right type of person is entering our Industry.